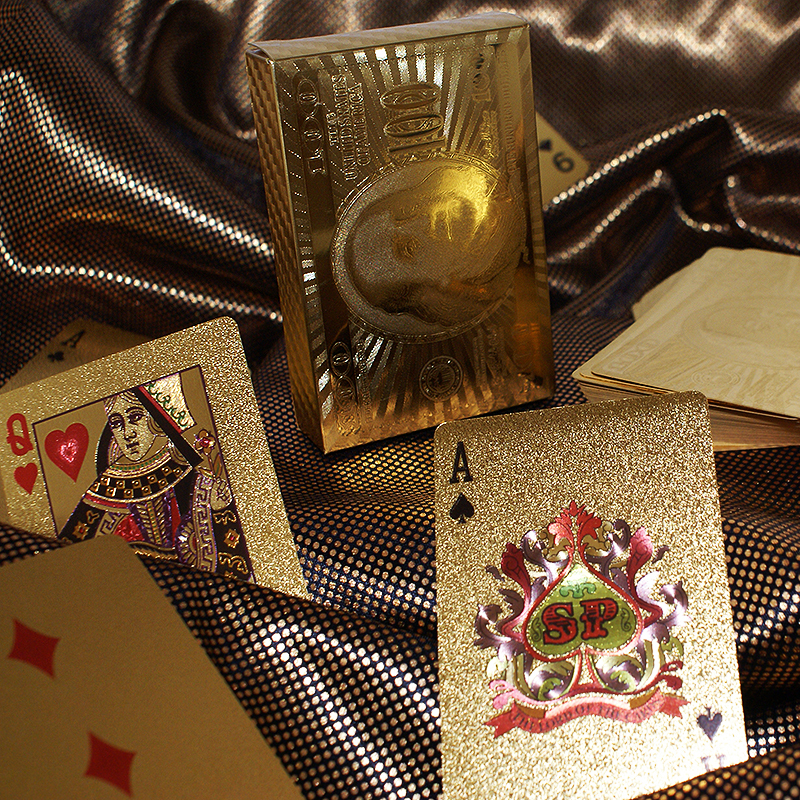 Here are some original playing cards, for those who like to stand out from the crowd. Both the case and the plastic cards look like a bar of gold at a quick glance. The intense and bright golden color makes them memorable. The satin print on the backs of the cards reveals, at a close look, the design of an American $ 100 bill. This deck will last a lifetime and will not fear humidity or water. The 54 cards produce a very pleasant sound when they are shuffled or when performing springs. Make the cards sing! • Cards are poker size. • 100% plastic ... extremely durable and washable!